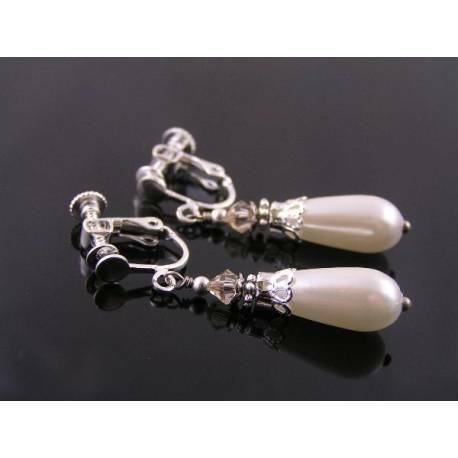 Lovely light weight pearl and crystal earrings with a choice of ear wires: clip on, stud or lever back. 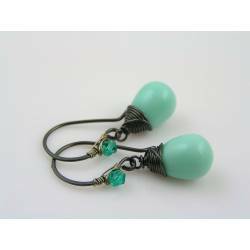 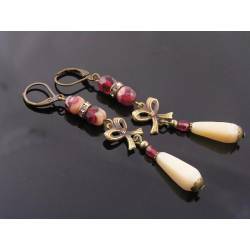 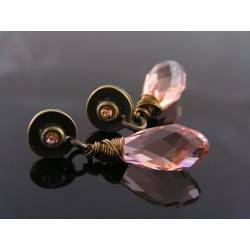 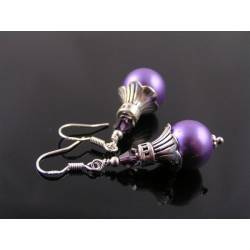 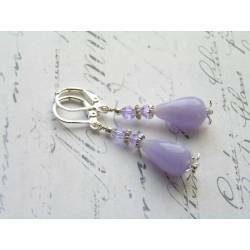 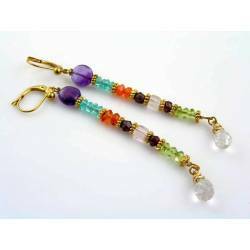 Great choice as wedding or bridesmaids earrings. For these earrings I chose gorgeous shimmering pearly drops which I combined with sparkling Swarovski crystals and shiny silver beads and bead caps. 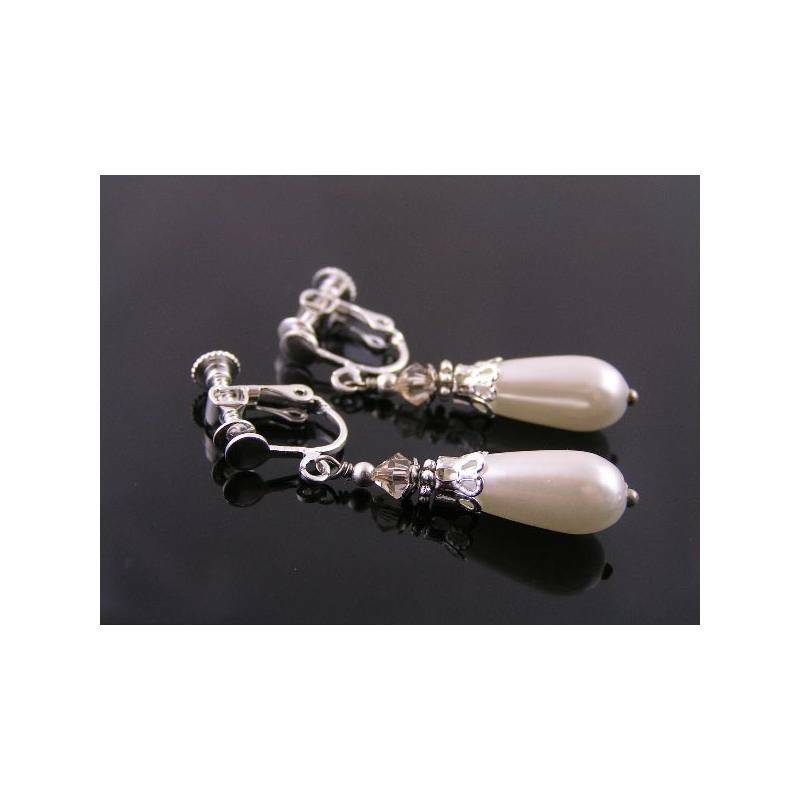 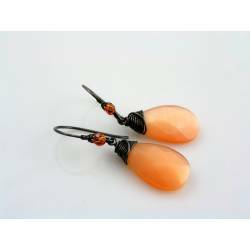 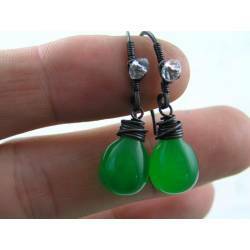 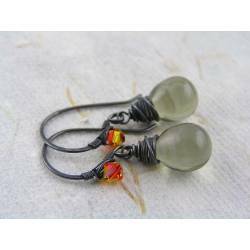 The attractive pearl drops are wonderfully light weight, made out of acrylic - perfect to wear all day or night long. 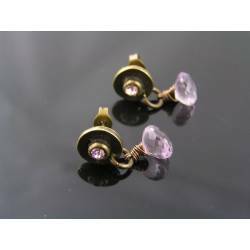 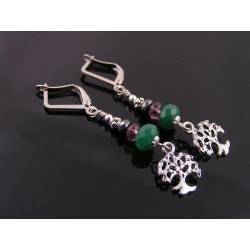 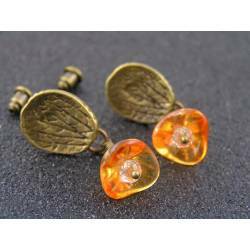 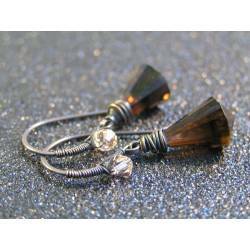 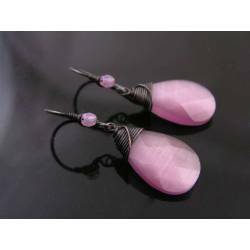 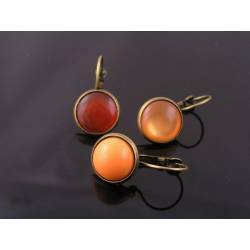 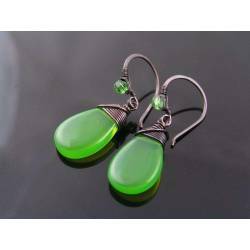 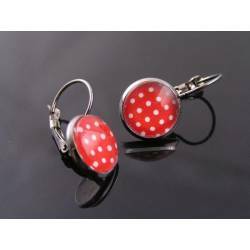 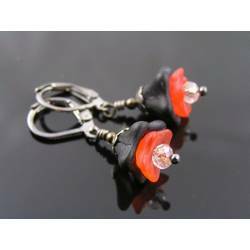 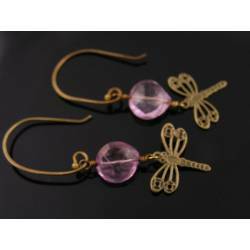 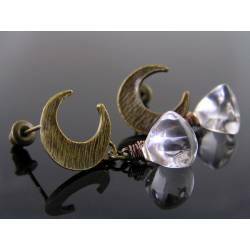 The earrings come with the choice of three different ear wires: Clip on for non pierced ears, silver rose ear studs and modernistic looking lever back ear wires. 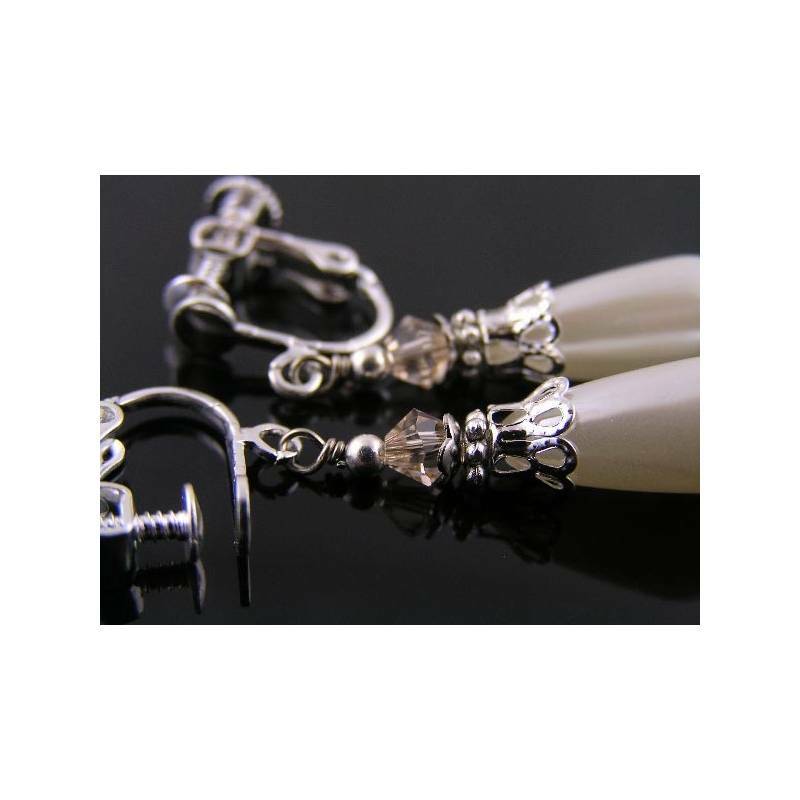 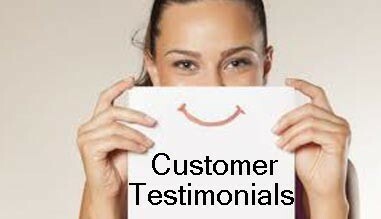 Please leave a note in the custom field below which ear wire option you would like. 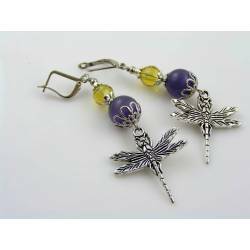 I do have other ear wires available, please contact me if these are not what you are after. 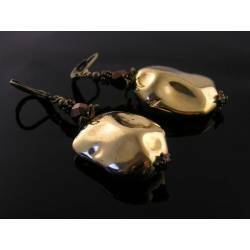 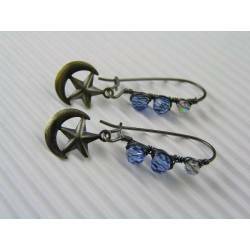 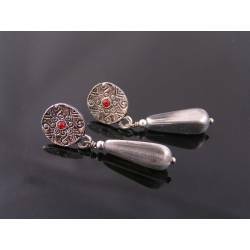 Total length of the earrings is 4cm all metal is silver tone.